Finally our moment is here, it’s been a long time coming and is so well deserved and nearly not a reality due to bad luck again here. After the first five laps all our electronics failed, adding huge pressure to the riders to stay at a competitive speed without the electronic support. I told them and the team to stay calm throughout the early hours of the race, we could maybe take more risks at the end if we needed to. So finally we arrive at our well deserved victory and it is an amazing feeling. First I need to thank my family who give up so much to let me focus on this dream. Now my team, no time team works so hard to be competitive and be here at this level. I also need to thank Yamaha and of course Bridgestone, without who this wouldn’t be possible. My rider Broc has been amazing. He has led every EWC race for a while at some point! He really deserves this, and also Marvin and Max, who all worked together to calmly make this happen. We’ve been so close so many times, and something has happened to take it away form us, so this is it, it was definitely our time! We had a problem with the electronics in the first stint, wheelie and traction control shut off, so we basically tried to turn the bike on and off during the pit stops which cost us some time but it didn’t fix it. 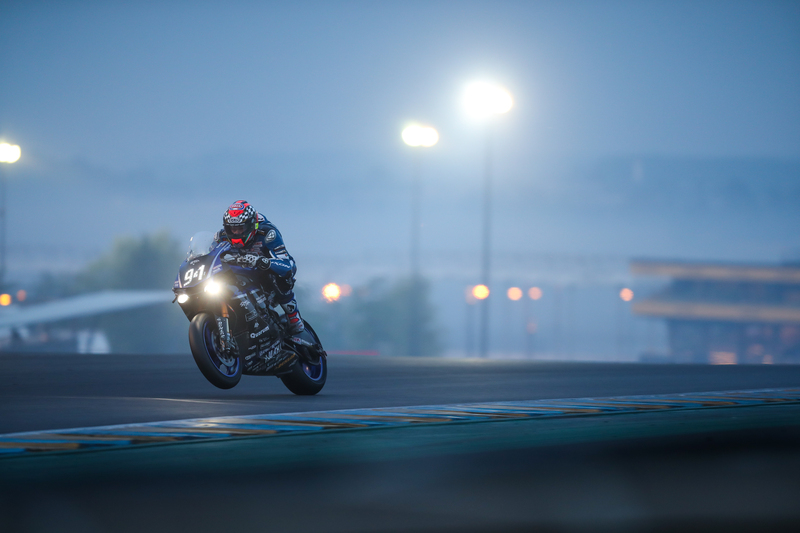 In the end we had a great strategy with the fuel and GMT94 had to pit one more time so it worked for us. Big thanks to Mandy and Yamaha who put in so much effort over the winter, we’ve shown we are the fastest team on track so to put it on paper with a win is perfect. Also big thanks to the team who’ve worked as hard as us to get to this win, and of course to Marvin and Max who kept it on track and on top despite the electric problems we’ve had. It really is a team effort that makes this result so special. Thanks also to Bridgestone for the great rubber that helped us win.